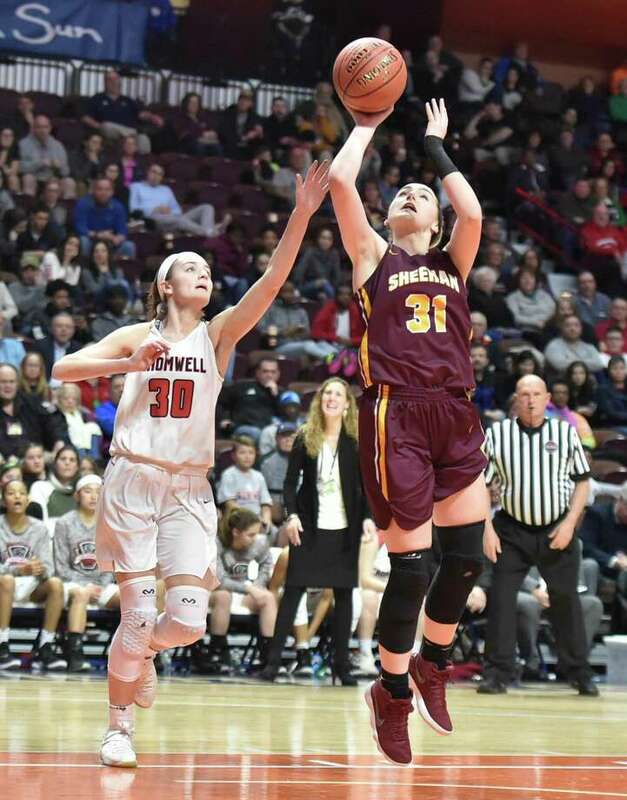 UNCASVILLE — Cromwell held off a furious comeback from Sheehan Sunday at the Mohegan Sun to win its third Class M state title since 2013. After trailing by as many as 16 in the third quarter, Sheehan battled back to take a 46-44 lead on a conventional three-point play from Caitlyn Velez that brought an eruption from the Titan faithful, with 2:32 left. Sadie Budzik, Cromwell. Budzik scored a game-high points but none as big as her free throws down the stretch. She was 5-of-6 from the line.